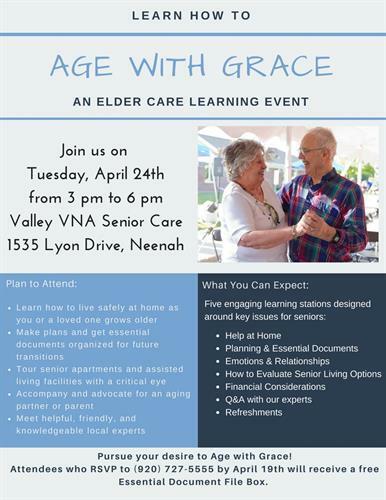 Learn how to live safely at home as you or a loved one grows older. Make plans and get essential documents organized for future transitions. Tour senior apartments and assisted living communities with a critical eye. Accompany and advocate for an aging partner or parent. Meet helpful, friendly and knowledgeable local experts. Five engaging learning stations designed around key issues for seniors. Free community event, but we ask you RSVP for refreshments, 920-727-5555.